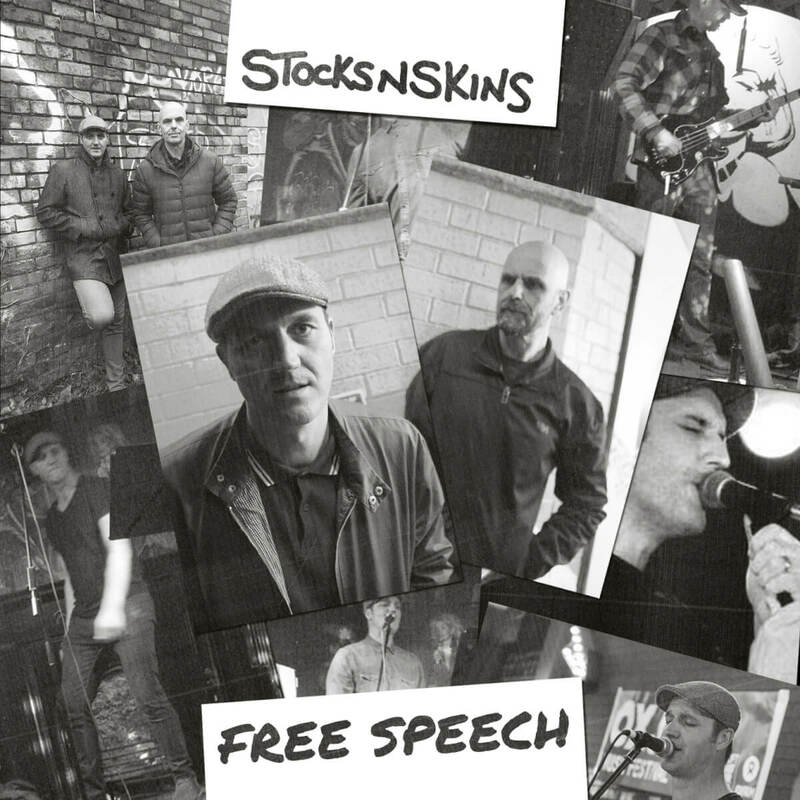 Bournemouth’s STOCKSNSKINS are Ade on vocals and Rich on bass. Beat poet commentators on the vagaries, victories and vicissitudes of life in modern Britain – the duo are back with the Free Speech EP – four fierce cuts of passionate, political electronica and spoken word. After forming in May 2016, the two began fashioning intricately pulsating post-punk infused electronic beats and synth mixes, revelling in joyfully pilfering nuances from ska, dub, rock and more whilst the vocal and musical strands build on the solid foundations provided by Rich’s rumbling basslines. Think of a wild, evocative and at times delirious ride through the life of an everyday man in Brexit Britain; a place of high-rises and low hopes, and a journey intertwined with music inspired by the likes of Jah Wobble, Sleaford Mods, Gang of Four and On U Sound. Torn tackles the trials of living in a city and country that feels on the edge of collapse, where powerlessness and poverty – both in terms of money and opportunities – can affect the individual who needs to make sense their place in the world. The ska-inflected Big City is a blistering account of how to negotiate your way through the urban jungle, where insecurity and homelessness, along with an uncaring state, can easily see the lost and lonely drift away to the edges of society. Originally debuted on the most recent edition of the AnalogueTrash Label Sampler series; the chilled, ambient sound of Blue River Hamble serves as a backdrop to a lyrical broadside that looks at the winners and losers in British politics, where consecutive governments take turns but nothing ever really changes. Finally, In Tatters details the morning after the night before, exploring the physical, emotional and psychological aftereffects of a night out on the town gone wrong – or maybe the night is just a reflection of the world of the central character, where lessons are possibly never quite learned. “I’m really happy with our third release and I’m looking forward to people hearing it. Overall the EP reflects on the current Brexit shambles, its effects on free speech in the media and the corrupt, self-serving narrative of the rich and powerful in this so-called democracy. We just love experimenting with electronics, which led to the dub theme going on with Blue River Hamble and Big City. Cuttings fall on the floor and some stick and fit just right, layered with lyrics that grow into a track with legs and teeth.